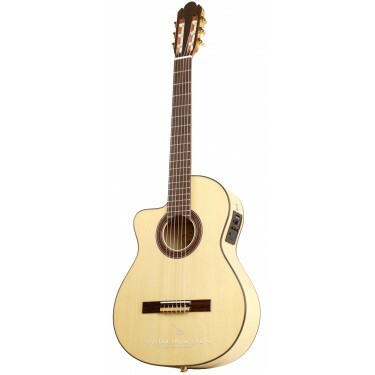 Raimundo 630E LH Electro Classical Guitar with cutaway for left handed players, pickup and preamp Fishman Classic III. 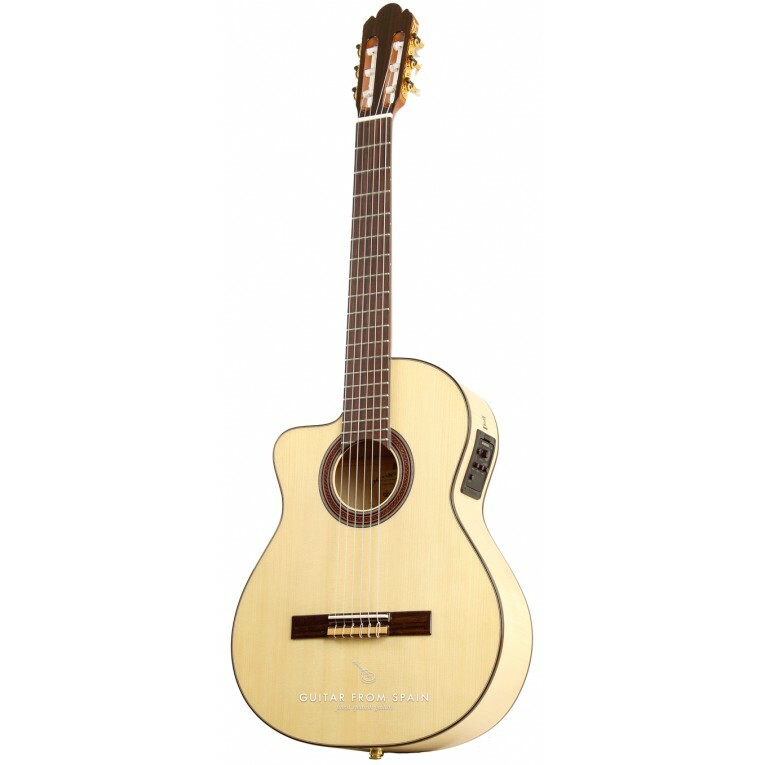 This awesome guitar has been designed by Raimundo Guitars with performing musicians and students in mind. 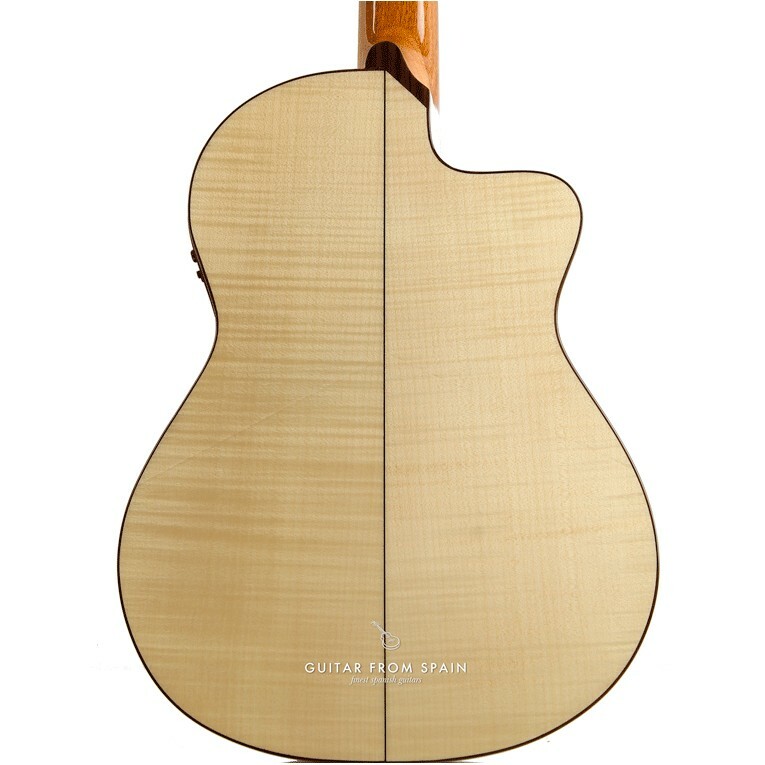 Beautiful open sound with great volume with or without amplification, the cutaway gives access to the highest notes on the fretboard. 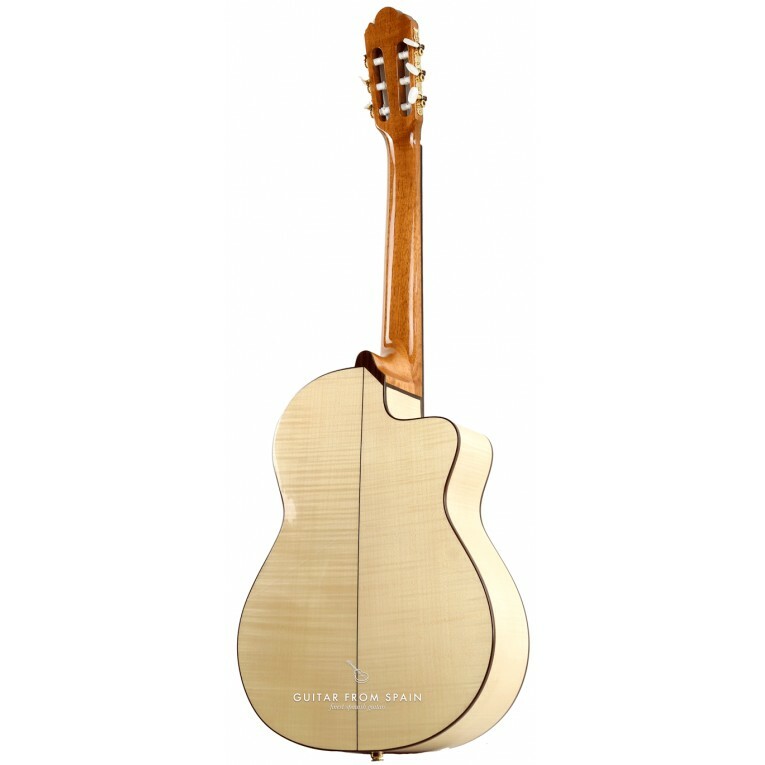 Solid spruce top, flamed sycamore back and sides, rosewood fingerboard over mahogany neck, and golden machine heads. 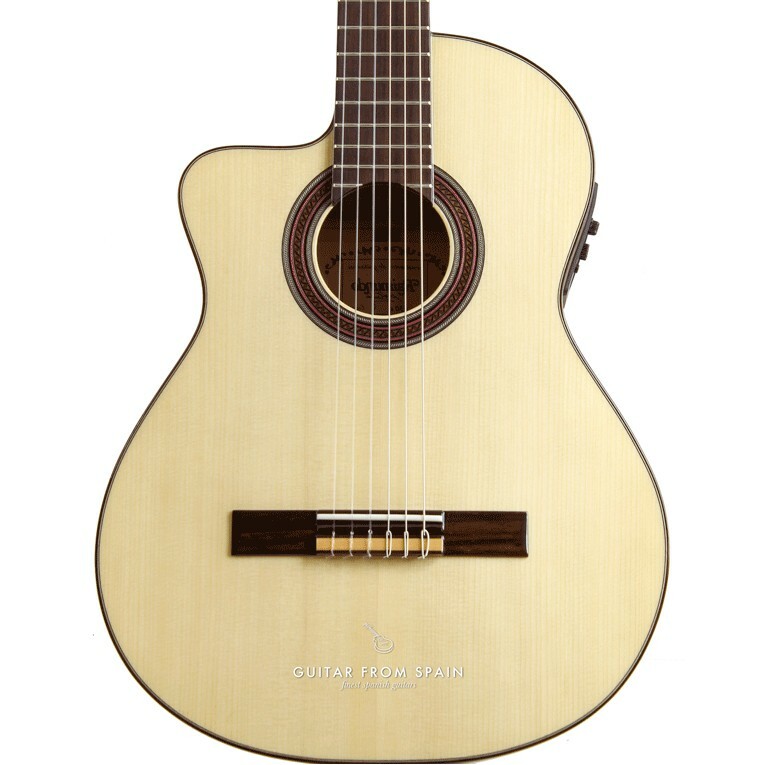 Beautiful guitar that is excellent value for money.